A cleft lip is a separation or split in the upper lip. It appears in the form of a narrow gap or opening in the upper lip skin. In many cases, this separation extends past the nasal base and includes the bones of the upper gum and/or the upper jaw. Cleft lip forms in the early stages of pregnancy. It occurs when the mouth and/or lip area lacks tissue, and the tissue available fails to properly draw together. One in 700 babies is afflicted with cleft lip each year. The condition is the fourth most prevalent birth defect in the United States. Clefts are more common among children of Latino, Asian and Native American heritage. Twice as many boys as girls have a cleft lip (though the opposite is true of cleft palate). Children born with cleft lips typically also have related defects of the nose. In many cases, a cleft nose is asymmetric and has weaker, smaller and poorly shaped cartilages on one or both sides. The septum typically shows substantial deviation. Also, if the cleft only affects one side of the nose, the inner lining of the nose is typically deficient on the side that is affected. The facial bones in the area of the nose are generally deficient, asymmetric and poorly shaped. All of these issues combine to form an abnormal nose with highly complicated and overlapping causes. Surgery must address each one of these problems. Cleft lip is usually corrected at a young age as it can lead to speech problems and functional issues such as breathing and eating problems. During this procedure the surgeon will take aesthetics into consideration to give the child a “normal” appearance, but the most important aspect is improving function. Even if a child’s cleft lip is corrected during infancy, the nose and lip may develop asymmetrically as the child grows. As a result, a person who underwent cleft lip surgery as an infant may need a secondary surgery later on. 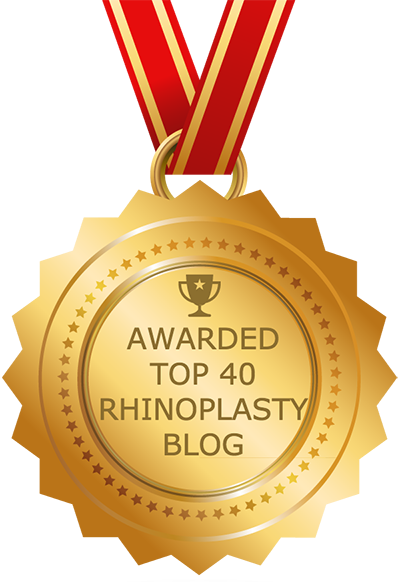 The rhinoplasty component of this procedure must be performed after about age 15 — in other words, once the nose has stopped developing. Performing rhinoplasty while correcting a cleft lip is a highly complex procedure that usually involves fixing functional problems as well as aesthetic issues. As a result, it is very important that the procedure be performed by a skilled team of surgeons. The term cleft rhinoplasty generally refers to nasal surgery that takes place during a patient’s teenage or adult years. The goal is to address both functional (e.g., breathing) and cosmetic problems that still remain once the patient has reached full physical maturity. Adult cleft rhinoplasty may include, for example, nasal implants, straightening of the septal wall and bone/cartilage grafts. Cleft rhinoplasty should be viewed as a process rather than one procedure, because more than one procedure may be necessary to achieve the desired outcome. Some patients require complementary operations before the rhinoplasty, or during the final procedure to address the issues that make cleft rhinoplasty such a complicated surgery. Bony or cartilage grafts may be necessary to build up the part of the face that supports the nose and skin; and, skin and cartilage grafts are sometimes necessary to address lining issues. In many cases, the septum is straightened to better straighten the nose overall. In addition, the shape of the tip may be addressed and symmetry improved. These techniques, too, require cartilage grafts. In some cases the surgeon is able to harvest the cartilage from the septum; however, in other cases it is necessary to take cartilage from the ribs and/or ears. If you plan to undergo this procedure, it is vitally important that you choose a qualified, board-certified facial plastic surgeon with extensive experience performing procedures involving cleft lip deformities. While an adult cleft rhinoplasty can offer further aesthetic and functional improvement, there are limitations. The surgeon is not working with untarnished tissue but rather on a nose that has already been reconstructed once before, which means that there will be scar tissue and existing grafts to contend with. Consequently, it is very important that you have realistic expectations. A skilled surgeon can certainly help improve the function and aesthetics of your nose, but no surgeon can promise that a perfect-looking nose and lip will result from cleft rhinoplasty. You may have to undergo more surgeries, for additional improvements, but it is quite possible that you will never attain your ideal result.